Relaxation dentistry is the perfect hybrid of comprehensive dental treatment and relaxation amenities. While not many patients look forward to dental visits, most would very much look forward to a pampering and relaxing spa treatment. Now, Meriden Dental Group has combined the best of both worlds, and the result is a dental care experience unlike any other. We’ve intelligently adapted pampering luxuries and our services. To ease the fear and anxiety often associated with dental visits, we’ve created a welcoming and relaxing environment, complete with a wall mounted waterfall in the waiting area, pillows and blankets, eyewear, and many other comfort amenities. 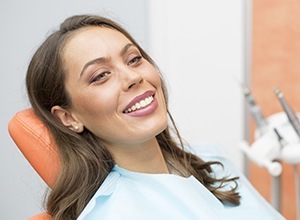 If you are one of the many patients who are fearful of dental treatment, we offer sedation dentistry options to quell your fears and ensure that your appointment is completely comfortable and anxiety free. Oral Conscious Sedation: You can choose oral sedation medication which will be administered about an hour before your procedure. The medication will relax you completely and may make you drowsy, but you will most likely remain awake and responsive throughout your treatment. IV Sedation: If you need a stronger form of sedation, we also offer IV (intravenous) sedation. The sedative is administered directly to the bloodstream, and it takes effect quickly and induces complete relaxation and a feeling of soothing comfort. You may drift off to sleep and you will need to have a designated driver take you home after your treatment is complete. Now you can escape and unwind during your dental appointment with the help of Cinemizer virtual reality video glasses. The Cinemizer combines 3D movie enjoyment with a brilliant image quality and outstanding stereo sound. The 3D glasses project a 40-inch image to create a movie-theater atmosphere that will quickly immerse you in a fantastic new world – even if you’re actually in a dental chair! These light-weight glasses ensure optimal comfort and wear-ability and are fully adjustable to suit your individual visual needs. Tooth-Colored Fillings: We offer tooth colored fillings instead of old metal/silver fillings, which carry health risks because of their high concentrations of mercury. Tooth-colored fillings blend seamlessly with your natural teeth and actually strengthen them over time. Teeth Whitening: You could leave our office with a smile that’s eight shades whiter! We only use the internationally acclaimed Kör bleaching system. Our personalized professional teeth whitening services can take your smile from dull to dazzling in just under an hour. 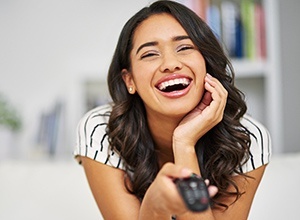 Porcelain Veneers: New porcelain veneers can correct almost any cosmetic dental concern including chipped, cracked, stained, discolored, worn, misshapen, and misaligned teeth. Veneers are also incredibly natural looking, long lasting, and durable. All-Ceramic Crowns: If you need to restore or protect a decayed or damaged tooth, you can opt for our all-ceramic dental crowns. Ceramic crowns are indistinguishable from natural teeth and can instantly renovate even the most compromised and vulnerable smiles. Relax During Your Next Appointment! With Relaxation Dentistry, we can offer an experience that will not only take care of your teeth, but your spirit as well. Schedule your Relaxation Dentistry appointment with Meriden Dental Group today. Meriden Dental Group delivers quality care daily throughout Meriden, Cheshire, Wallingford, Durham, Middleton, Berlin, and the neighboring areas.